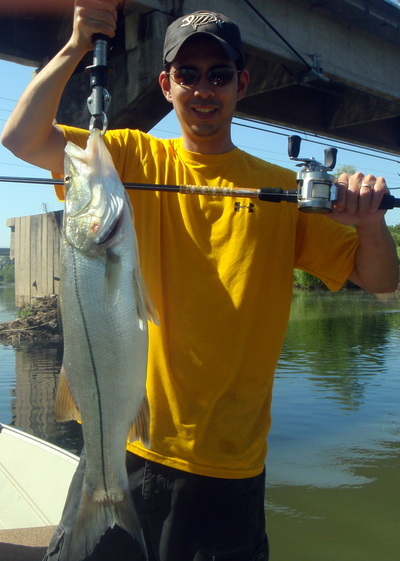 Fished for snook in the river with Carlos "Mr. Snook". He definitely knows his stuff and fishes hard. At 3:30 we were ready to head in for some Carl's Jr. burgers but Carlos would not leave until we put about 200 casts into this one stump. I finally pulled out a 2lb snook that was sitting there and we got to head in. Casting bucktail jigs and flukes we caught about 20 snook. The quantity was not amazing, but the quality was definitely there. 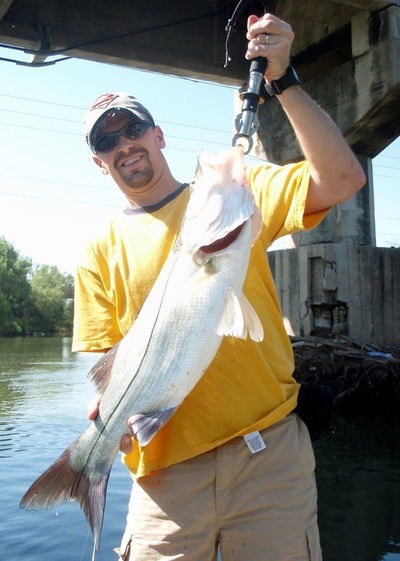 We landed a 13, two just under 10, a 7, and several 5-6lbers. Carlos didn't fish much but he lost one that was bigger than the 13 and I lost a 10 right at the boat. Was trying out my new snook rod made for me by Performance Tackle in Long Beach. Great rod, and was also impressed with the Daiwa Pluton reel they sold me. When the tide went slack we went outside the river mouth for a few jacks up to 12lbs which were quickly subdued by the Pluton. Very powerful reel for its size. Fished inshore with Kurt Hjort of Esperanza Sportfishing. Got a few knockdowns on bait and strikes on poppers, but nothing was really sticking. 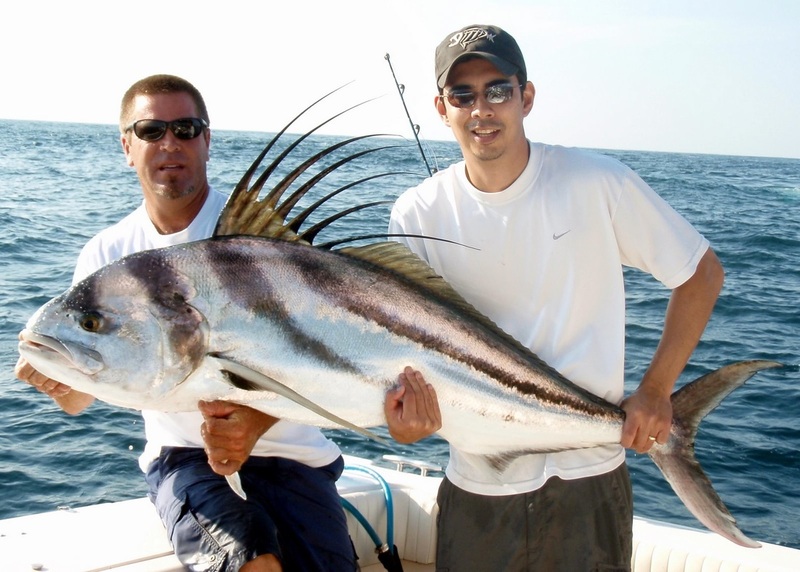 Headed to El Morro and landed a pig of a roosterfish on a live skipjack. 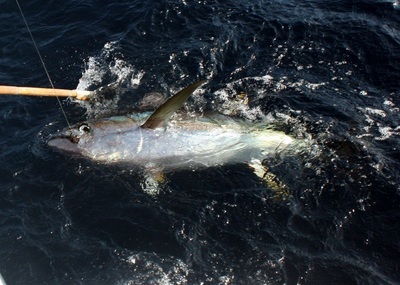 Released it and didn't weigh but both Kurt and I thought it was easily 60lbs+. The rest of the day was pretty slow; got a sierra and a bonita and then another rooster around 20-25lbs near the end of the day. Tried tons of spots but not much was happening for us or the other boats. Fished again inshore with Kurt. Much tougher day with just some needlefish and an almaco jack for our efforts. 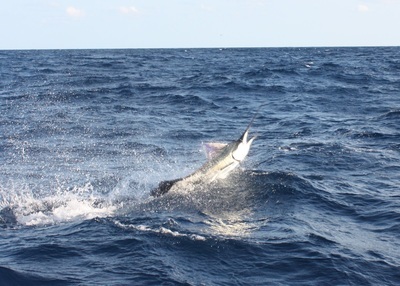 We did break off a big sailfish close to shore and got a few roosterfish follows on poppers but that was it. Kurt was really putting in the effort; staying later, dragging 4 different types of baits plus one of us was constantly throwing a popper or jig or both. It just was not happening inshore for anyone. 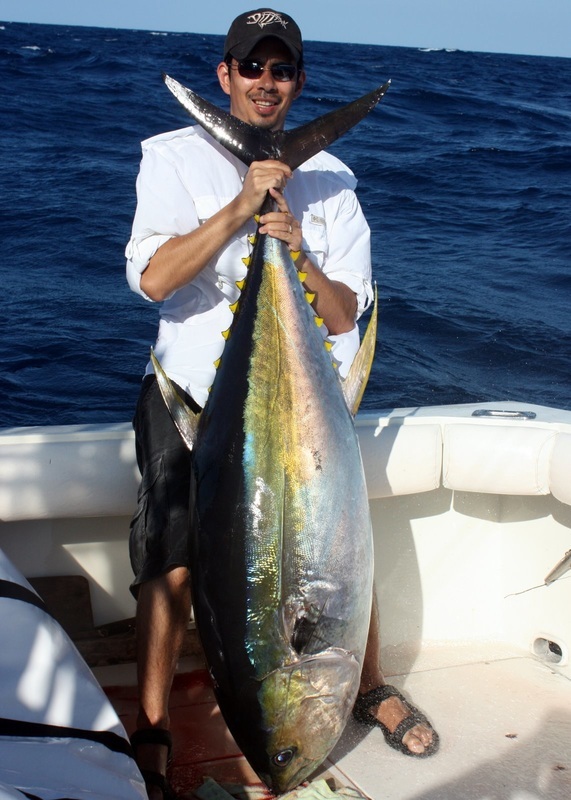 Fished offshore with Danny Osuna of Marla Sportfishing. Danny is very serious about fishing and we headed straight to the Banco to make bait. 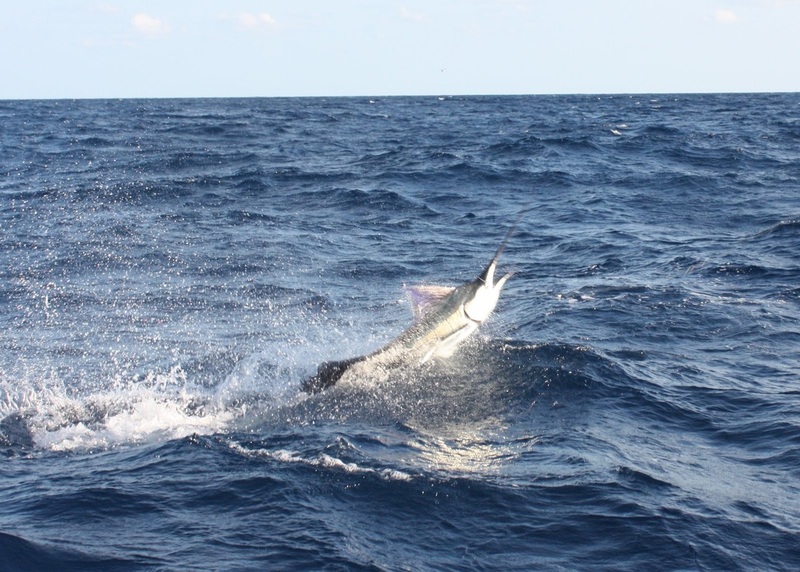 It wasn't long before we released two sailfish, which was a nice start. My buddy Gary hooked into a marlin in the 400lb class that we released boatside. Got some nice pics of it jumping; see below. 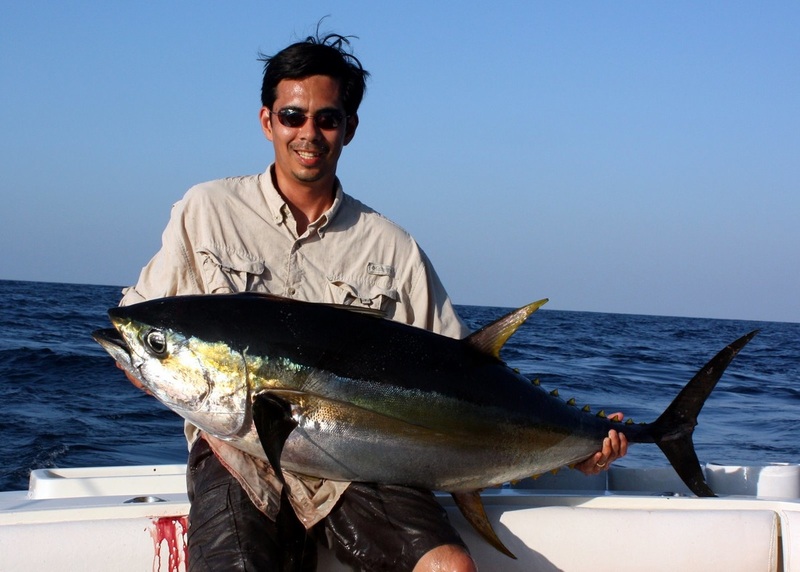 We got a double header of 60lb tunas and a couple dorado and then I finished off the day with a tuna around 85lbs at Corbetania. 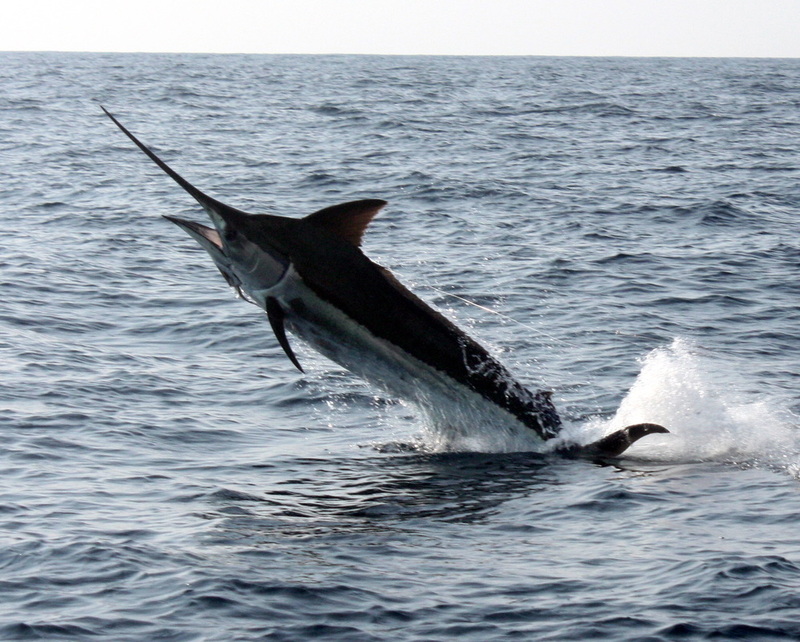 Not non-stop action, but certainly nothing to sniff at and any day with a marlin release is a good day. Fished with Danny again. Same story, but even better fishing. It was windy and fairly rough out at the Banco, but the fish didn't care. Within 5 mins of getting baits out we had a triple header. 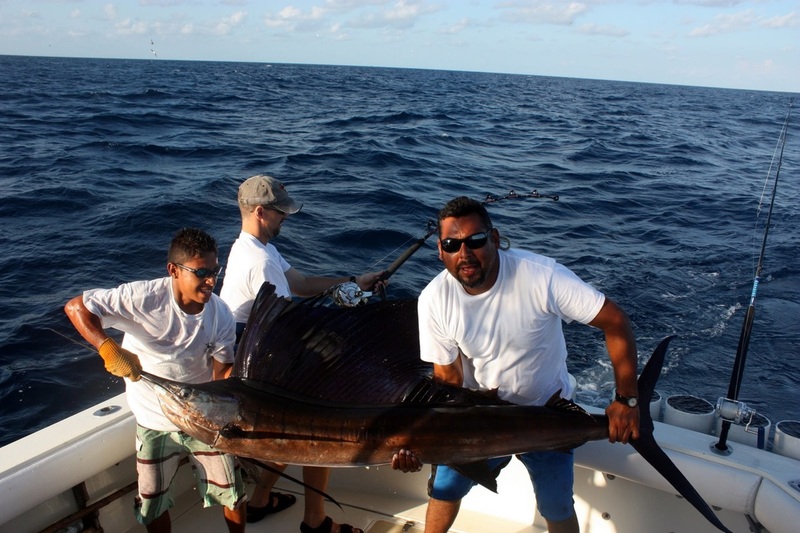 I landed a sailfish, Gary landed an 80lb tuna, and Danny shook off a sailfish. 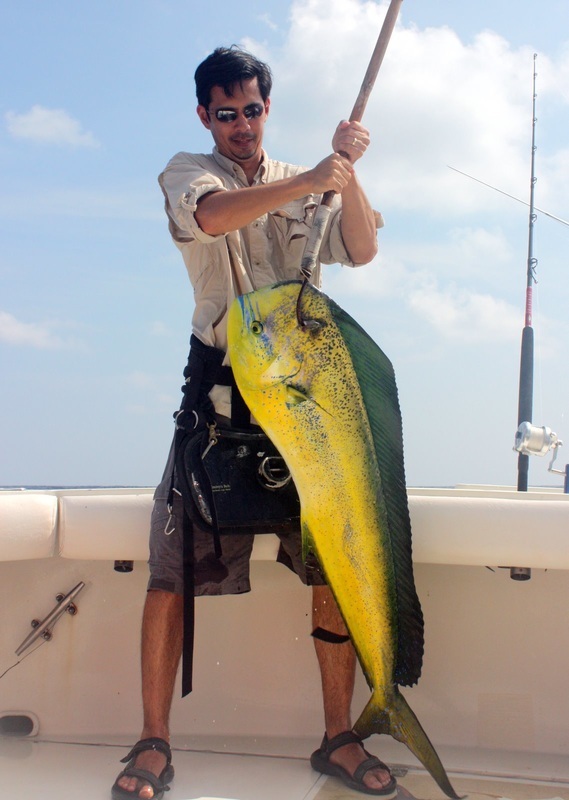 We picked up a dorado but action slowed and we headed to Corbetania. 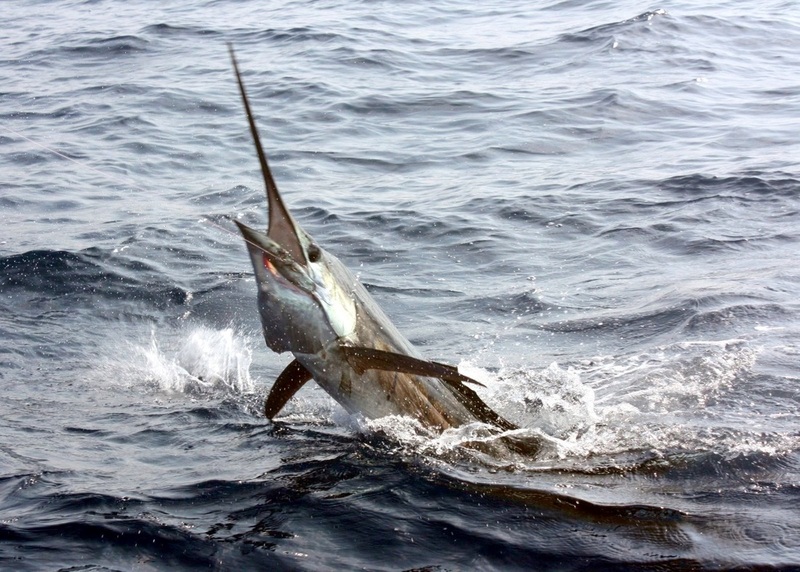 Great call by Danny as we immediately hooked and released a marlin estimated at 375lb. Caught it on my new rod again made by Performance Tackle and one of the new 2spd Accurate Extreme 30 reels. Gary and I tag-teamed it to the boat in aound 40mins. The combo looked a little light for this type of fishing and Danny was skeptical, but by the end he was declaring he would buy 4 of them. That combo got quite a workout that day as we ended up with 7 tunas: 125lbs, 100lbs, 95lbs, 90lbs, 75lbs, and 25lbs. 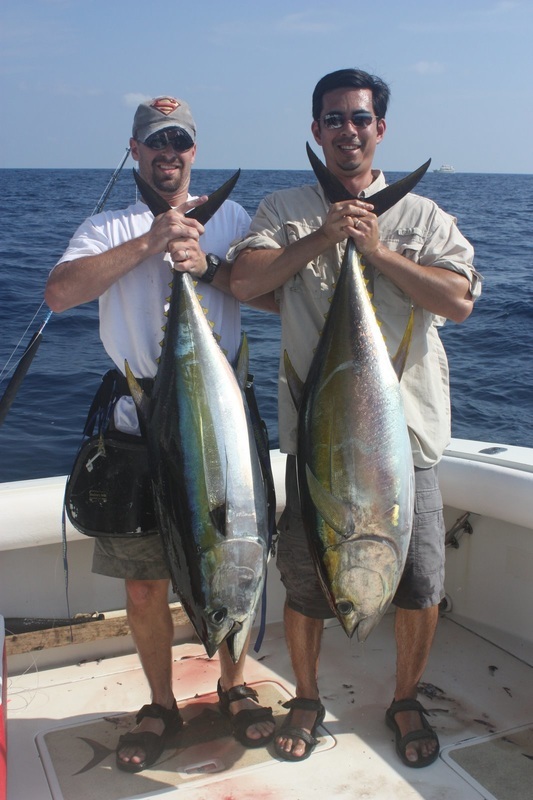 The largest 4 were caught on that rod and reel with "relative" ease. 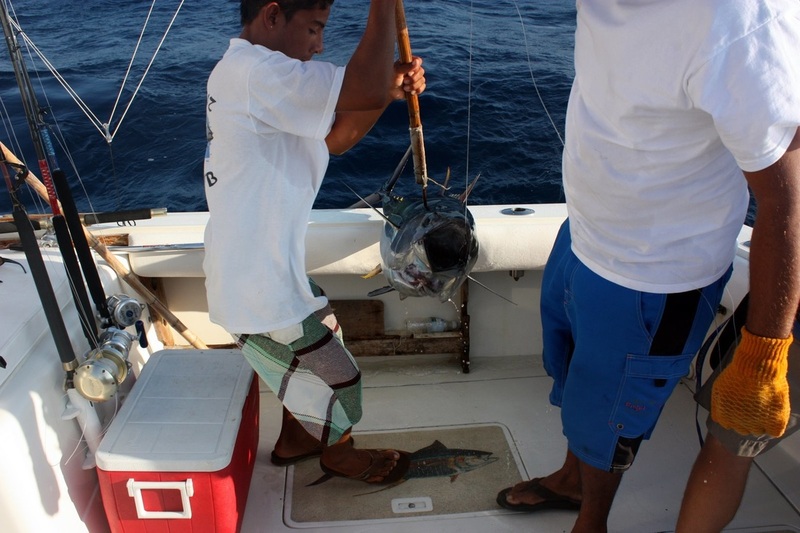 Most of the tunas were on the kite and we could have gotten some more but we left them biting in order to not kill them needlessly. I would highly recommend any of the three guys we fished with. All three are serious fishermen and worked hard to put us on fish. No complaints at all from me. Gary was a first-time saltwater angler but you would never know it as he had no problems handling the big pelagic fish.